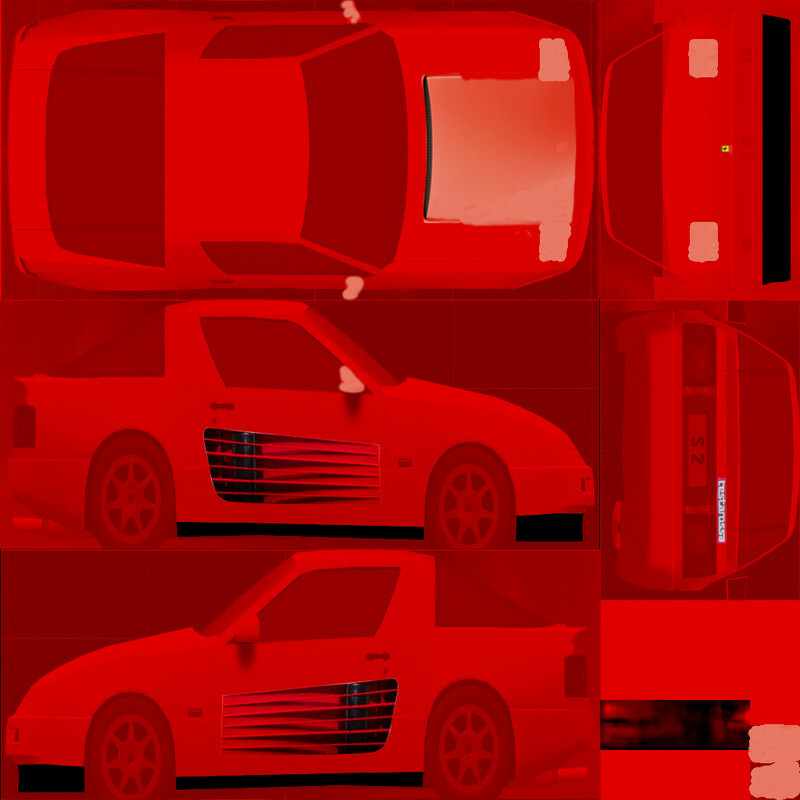 Just a simple Testarossa skin I made for XRG. Thoughts? There's a beginning to everything. I recommend you make logos, vents, etc using your editor instead. Using parts from pictures found on the internet looks like printed stickers. Doesn't fit. Good luck!